This is a update of our earlier book and includes much new material. 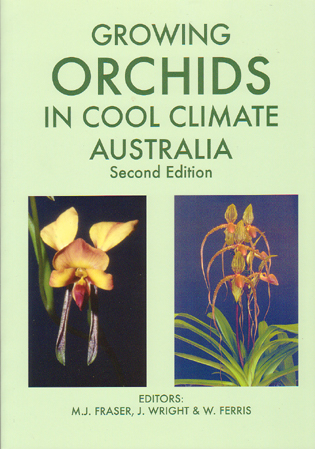 Written by members of the Society, this book covers topics such as What are Orchids, Structures for growing orchids, potting media, pests and diseases, Orchid nomenclature, Orchid Classification and of course how to grow many types of orchids in cool climate regions of Australia. An invaluable reference for novice growers and those with a passion for this delightful plant family. Published in October 2013, 128 pages with about 190 photos. Discounts on orders of more than 10 copies.